Happy homeowners are my goal. I would like to add you to the list of happy satisfied homeowners. Jerry has assisted us with the purchase of two properties in the south bay area of San Diego over the past 12 months and we have been very pleased with the service that he has provided. Firstly we found the web-site search that he helped us configure extremely useful so that we were promptly aware of any new property that came onto the market. Jerry always managed to arrange our property visits so that it fitted in with my busy schedule (I work overseas a lot) and we valued his expertise when selecting the properties that would best fit our requirements. Once we had made and had an offer accepted, Jerry handled all of the paperwork and surveys on our behalf and even went to the bank with my wife to assist with the wire transfer when the completion settlement was due. His after sales support is also of the highest standard. We would definitely use Jerry’s services the next time that we are looking for a property and would also recommend him to anyone who asked. 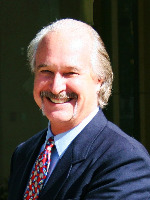 Jerry's diverse experience in the real estate industry makes him an excellent and reliable agent. With his experience as a construction planner, lender, and agent he offers a well-rounded understanding and approach to buying a home. During our search for our first home, he provided a great deal of information and informed opinions while still allowing us to make the decision that was best for us. He also was extremely helpful during the escrow process, notably, keeping the lender on schedule and explaining all of the documents we were signing so that we fully understood what we were agreeing to and advising what we should ask for. He never made us feel pressured to make a decision quickly nor did we ever feel like we were taking up too much of his time when deciding where to look and what we wanted. We would recommend Jerry to any friend, family member or colleague and would definitely use him again if we ever decide to leave the amazing home he found for us! It has been an absolute pleasure working with you. We must have gone through about 4 agents before we happened upon you by chance...and we are very grateful we did. Though we don't have plans to move for MANY more years to come you will definitely be on our " tell our friends " list. Thank you for your personal and professional handling of our search for a new home. As far as the garage door opener goes...you have done SO much for us and I appreciate the offer, we will just swing by home depot and add it to our list. Thank you again for the gift card it helps curb the bite of all those pesky new home needs. Once we are all settled in, which will take a few months as we wait for the kids to finish school up here, we would enjoy the pleasure of your company when we have our first get together with friends and family. We will let you know when that will be. I will let our 12 yr old know about the Taco Shop, he is a HUGE freak for Mexican food! We would like to thank you for all your efforts to help us find and purchase a property for Soudie that meets all her needs. Because of Soudie’s special needs and limitations, it was more difficult to find her a suitable place, but your persistence and hard work, your timely updates on properties that just became available, and your extensive knowledge of the real estate market in the areas we were interested in made this possible. I would also like to thank you for helping the escrow come through successfully when things appeared to be unraveling and came close to losing this property. You are very proactive and you know how to get the job done right. Working with you feels like working with a family member. You are honest, friendly, and always accommodating and you have the best interest of your clients in mind. It is not easy to find a real estate broker like you and we definitely feel fortunate to know you and to work with you.